NASA, the Russian Federal Space Agency and their international partners have selected two veteran spacefarers for a one-year mission aboard the International Space Station in 2015. This mission will include collecting scientific data important to future human exploration of our solar system. NASA has selected Scott Kelly and the Russian Federal Space Agency has chosen Mikhail Kornienko. Kelly and Kornienko will launch aboard a Russian Soyuz spacecraft from the Baikonur Cosmodrome in Kazakhstan in spring 2015 and will land in Kazakhstan in spring 2016. Kelly and Kornienko already have a connection; Kelly was a backup crewmember for the station’s Expedition 23/24 crews, where Kornienko served as a flight engineer. To read more about this mission, visit https://www.nasa.gov/home/hqnews/2012/nov/HQ_12-406_ISS_1-Year_Crew.html. This mission is an extension to NASA Now: Human Research on the ISS. 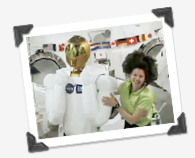 NASA Now is an Emmy Award winning video series produced by NASA Explorer Schools. To stream or download this and other NASA Now programs, log onto the NES Virtual Campus at http://explorerschools.nasa.gov. In 1768, when James Cook sailed out of Plymouth harbor to observe the Transit of Venus in Tahiti, the trip was tantamount to a voyage through space. The remote island had just been “discovered” a year earlier, and by all accounts it was as strange and alien to Europeans as the stars themselves. Cook’s pinpoint navigation to Tahiti and his subsequent observations of Venus crossing the South Pacific sun in 1769 have inspired explorers for centuries. One of those explorers is about to beat Cook at his own game. High above Earth, astronaut Don Pettit is preparing to photograph the June 5th Transit of Venus from space itself. One of the most frequently asked questions of astronauts is about how and what they eat while in space. 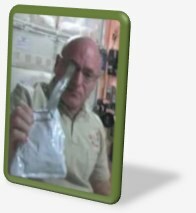 Expedition 26 Commander Scott Kelly recently made an informative video aboard the space station showing the food and beverage area, how food is prepared, menu options, and how they eat. Think about dehydrated beef stew, asparagus (it floated away during filming) and lemonade! Yum! For more information about the project and to register for the upcoming mission, visit the EarthKAM home page.